It's time for another kitchen update. (Aren't y'all just so excited?!) I feel like that's the only thing I ever talk about in our new house...but to be fair, it was the room that needed the most work. Two weekends ago, we took it upon ourselves to paint our kitchen cabinets. They were a builder grade honey oak which I personally abhorred. We wanted them white. So we decided to do that over the course of a weekend. After much research, we purchased General Finishes milk paint on Amazon (because of the stellar reviews) and got to work on a Friday. 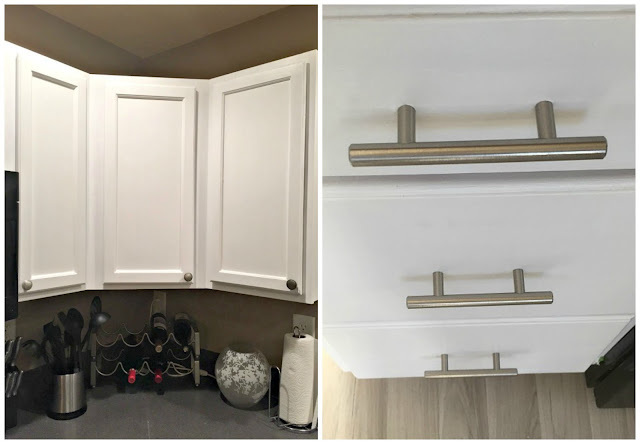 I can go into detail on another post some day, I didn't love the paint and we will probably need to go back over the inside of the cabinets again in a few months. But, it got painted! I'm very pleased with how light it makes the kitchen. 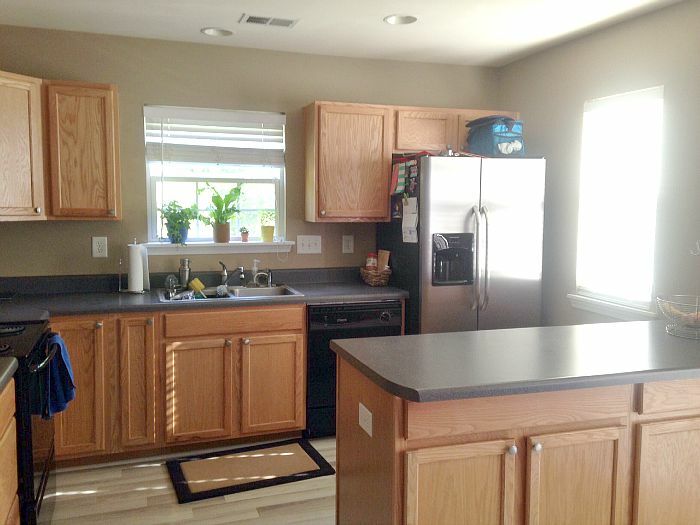 The rest of my house is very light and airy and to have a darker kitchen just didn't flow. We think it makes the kitchen look a lot bigger. We also added some drawer pulls to the working drawers. We reused the original door pulls which were satin nickel. I'd originally wanted to replace them but those suckers are EXPENSIVE! And because we have 21 cabinet doors, it would have been too much money. 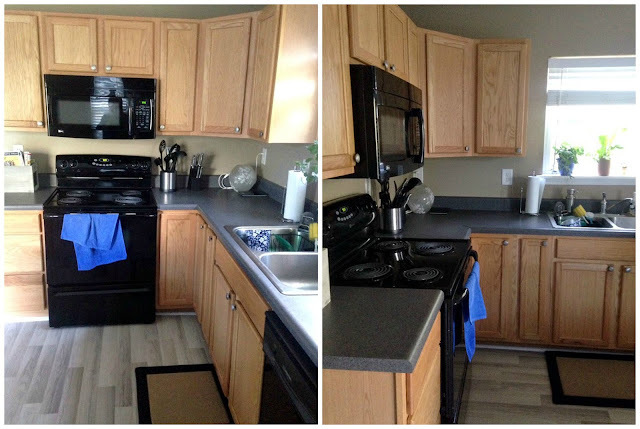 Still on the list is to replace the counter tops, stove and microwave but we've made a lot of progress already! Read up on the other kitchen updates here and here. It looks great! I love white cabinets. I was happy with the paint we used at the shore to turn light to white. I'm so impressed! Someday I want to do the same thing! I can't believe it only took you a weekend! And they look so good!